Apple to invest $1bn in original programme content | What Hi-Fi? The tech giant is planning on investing $1bn into making its own shows, which could boost Apple Music's popularity over both Spotify and Netflix. "A million dollars isn't cool. You know what's cool? One billion dollars," said tech entrepreneur Sean Parker in The Social Network. That's also how much Apple is planning to spend on producing its own original content over the next year, according to reports in The Wall Street Journal. Apple is aiming to compete with the likes of HBO, Netflix and YouTube, and the company intends to release as many as ten new shows. But will $1bn be enough to make a mark? HBO currently invests around double that in its own programming, and Netflix is expected to spend more than $6bn on its own shows. Facebook has also committed to making its own content – recently putting out Watch to try and cut into YouTube's dominance – though it's not yet known how much it will be investing. Apple already makes its own content, but is looking to further boost its Apple Music service. 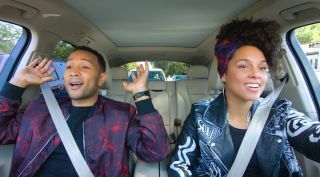 It has commissioned 16 episodes of Carpool Karaoke, a spin-off from The Late Late Show with James Corden, and also released what is essentially an extended feature-length advert for Siri with Dwayne "The Rock" Johnson. Alternatively, the technology giant could just buy its way into content instead.